This report describes counter-terrorism measures in effect in the United States after March 15, 2004. These measures are in response to an Executive Order that prohibits transactions with individuals and organisations deemed by the Executive Branch to be associated with terrorism. 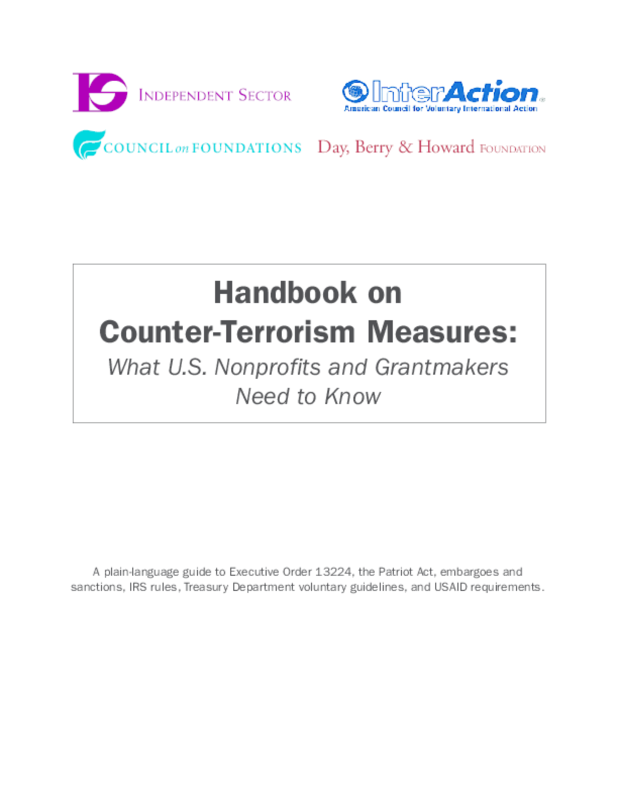 This handbook could help foundations interested in avoiding the legal consequences of providing support to organisations which may currently or in the future be associated with terrorism.